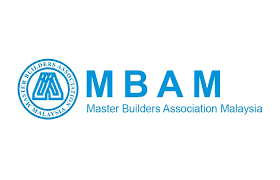 The Master Builders Association Malaysia (MBAM) Education Fund Scholarship Awards 2018 is now open for application from eligible applicants. Malaysian citizens applying for undergraduate degree courses related to the construction industry at all local public universities and Malaysian Qualifications Agency (MQA) accredited courses in private universities are eligible to apply. The application form may be downloaded at at www.mbam.org.my or obtained from the MBAM Secreteriat. All applications must be accompanied by a copy of the applicant's latest examination results (STPM or Matriculation or equivalent) and a stamped self-addressed envelope (17.5cm x 25cm). Executive Director, Master Builders Association Malaysia (MBAM), 2-2 (2nd floor) Jalan 2/109E, Desa Business Park, 58100 Kuala Lumpur, Wilayah Persekutuan Kuala Lumpur. For further enquiries, please contact us at 03-79848636 or email to ed@mbam.org.my. Application forms should reach MBAM Secretariat latest by June 29, 2018 (Friday). Only shortlisted candidates will be notified for an interview.